You just have to have a designer wedding dress, you have dreamt of nothing else for weeks and spent ages looking over pictures of gorgeous looking dresses. The hunt is now on to find it at a fraction of the cost and I hope you have left yourself plenty of time! Searching for your designer look, probably started in the many wedding magazines or visits to the local wedding shops. You know exactly the dress or designer that you want but it currently will cost you thousands! Aaaahhh! First, don't panic, this will require a lot of searching but it will be worth it. Take a visit to the wedding dress shop that you have seen the dress at, try it on to make sure it is the one that you want. It is worth asking at this point if there is any discount, especially if you are looking at buying your veil or tiara or shoes at the same shop. Be brave, they can only say no! If the shop is not offering a discount, walk away to think about it, hundreds or thousands over the budget may not be worth the extra financial stress later. With the details of the dream dress from the shop you can now search online for a better price. Online shops can give better prices as their overheads can be less, however you can't obviously try it on. 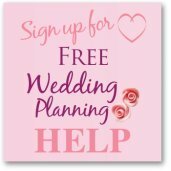 Definitely have a look at secondhand dress sites as some brides will sell their dress soon after their wedding day and normally at least a third off the original price. Try looking for designer dresses on ebay as you can normally grab a bargain. A number of designers and bridal boutiques will have sales, sample sales or trunk sales, it is quite likely that you will be able to grab a bargain. If you are small you have a greater chance of finding a cheap designer dress in the sales. Most are a size 8 or 10 but always worth having a look, take a friend with you so that they can run back and forth from the changing room for you as sales can be very competitive and fraught! Some brides even wear their swimming costume so they can get changed in the store, anything for a cheap designer wedding dress! As well as the sales keep your eye out for sample sales and bargain basements. Wedding stores will advertise these in the local press and online, you could save a fortune but you have to be prepared to be ruthless! Use twitter to find out when sample sales are on. One nationwide sample sale is Brides Against Breast Cancer where proceeds from the sale of donated wedding dresses goes to helping raise funds for charity. An online sample sale at Love Couture Bridal allows you to bid online for the dress that you want and they will ship your dress to you if you win. 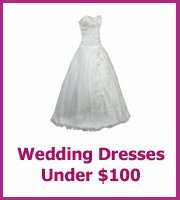 Discounted designer wedding dresses are one of the many bargains that you can get on a visit to a wedding show. 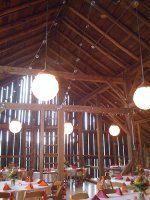 Every wedding show needs to provide brides with a reason for going and as you often have to pay to get in, it is nice to get a saving. The really big national shows sometimes have areas that will be dedicated as changing rooms, I know of brides that have been able to save themselves more than half the cost of their perfect discounted designer wedding dresses by doing battle at wedding shows. Joking aside you need to be ready to fight for your dress. There will be hundreds of other brides that will be looking for the same thing. Be prepared know exactly which bridal shops, chains or designers will be at the show and if you can, try to know before hand the type of dress you are looking for. 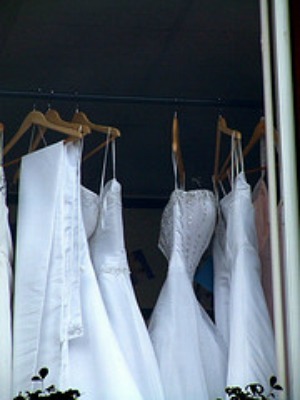 Try on lots of different styles at local bridal shops to find your perfect dress. 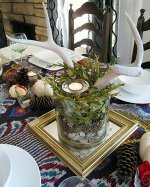 Take that image in your head with you to the wedding show. On the day of the show make sure you are dressed in easy to get off clothes, sounds odd but you don't want to miss the best bargain while you are getting changed. Taking people with you to act as runners is a great idea as they can pass you different sizes etc. As a word of warning the changing rooms are normally packed so you may want to go straight to this area first and then spend time browsing at the rest of the show. If you are only able to get to local shows then again it is worth knowing who the dress shop will be. Most dress exhibitors will be putting on a fashion show which will attract more brides to be and for this they will normally get their exhibition stand for free. However most fashion shows are always short of models, so if you fancy getting in with the dress shop to get favorable discounts this could be a good option for you! Just speak with the bridal shop when you visit to try lots of dresses on.